Place the lineup card face down bad. But, that’s what rebuilds are all about, I’m told. Years and years of bad ahead in the hopes that some good might grow out of it. I’m not sure that’s how things work in other fields, but who am I to say? I am tired of this horrible season. I am tired of having to read the box scores of other teams that are filled with my favorite Orioles who are no longer Orioles. I am tired of waiting for things to get better because I don’t know what, exactly, I’m waiting for. The Orioles haven’t always been this bad. But, they have been bad. 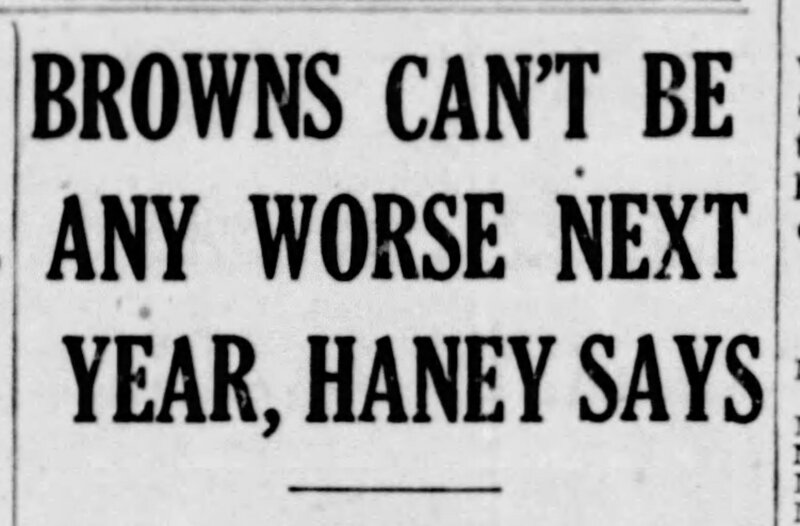 In 1939, the Orioles, who were still the St. Louis Browns, were remarkably bad. They finished the season 43-111, finishing 64.5 games back of the Yankees. Now that’s some positive spin. 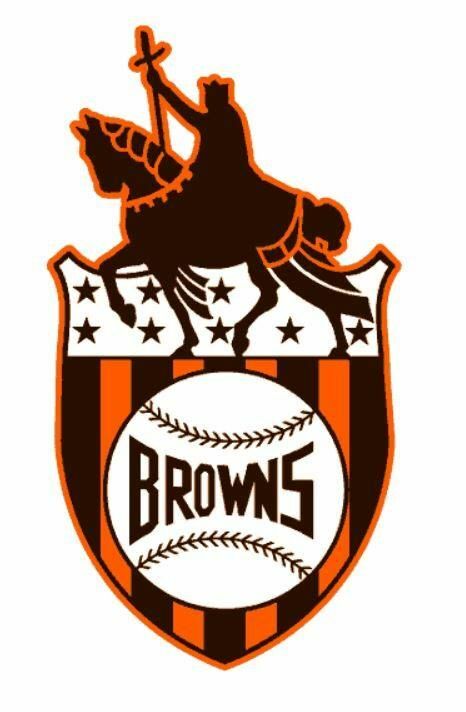 The 1940 Browns went 67-87, just 23 games back of the pennant-winning Tigers. To their credit, while they weren’t particularly good in 1940, they were better than the Washington Senators and the Philadelphia A’s that season. If you lose today, you will have been swept – at home – by the Chicago White Sox, a bad team that is, clearly, not as bad as you. You don’t want to be swept by the White Sox, do you? First, I hope you saw that part about Orioles fans not being dumb. And, second, I hope you understand this. Adam Jones is the heart of the Orioles. It’s the only heart that fans have left. Adam’s been back in the lineup these past few games. There. That wasn’t so hard, was it? Let him play these next two weeks. Let him play every day. Let him play for us. There’s nothing – nothing – to be gained by sitting him so you can “take a look” at other players. Joey Rickard? You haven’t seen Joey Rickard? Because he’s been playing out there for a couple seasons now. I’ve seen him, so I’m pretty sure you have, too. It’s one thing to be bad. It’s another to be a jerk about it. That’s all I’m asking, my beloved Baltimore Orioles. Don’t be a jerk about it. This entry was posted in Baltimore Orioles, Baseball and tagged Adam Jones, Baltimore Orioles, St. Louis Browns by Jackie, The Baseball Bloggess. Bookmark the permalink. My heart goes out to you, Blogess. As a Giants fan, I’ve been humbled, as I’ve learned the difference between following a team that was terrible (last year), and following a team that is merely mediocre (this year). Mediocre is more fun- if that’s the word. The Giants have had little flashes of goodness, beating teams that should have beaten them, and then badness, being stomped by inferior teams- at least on paper. So, that can be fun, sometimes- thinking “They’re not very good, but they might beat these guys; could happen”. But, there’s no fun at all- I get it- being a fan of a team who’s owners seem to have given up on players, who have to struggle every day to believe in themselves. So, I propose a radical intervention: pick another team of your choice and root for them, for the next two months. That’s right: leave the Orioles to their certain, deeply depressing fate (about which you can do nothing), for the rest of the season, and focus on some other, scrappy team that you’ve always kinda liked, and cheer them into the playoffs. I mean, look: you’re an Orioles fan. I get it. But, above all, you’re a baseball fan, and the best part of the season is coming up. You work hard; you’re a good person, you DESERVE to enjoy the next couple of months. You love tradition, I know. There’s Cleveland, and, if you want to go far afield, there’s the Oakland A’s, that I’m kinda getting on board with, since I live in Oakland. All I’m saying is, there’s what you can control, and what you can’t, and you can’t do anything about the next few, miserable weeks that the Orioles are going to go through, whether you’re rooting for them or not. There’s a lot of great, exciting, winning baseball happening out there. You don’t have to buy a new cap. Just put it away, for now, and see what next year brings, and in the meantime, watch a team you like fight it’s way into the playoffs. That’s my suggestion, Blogess. Do as you will, and your actual mileage may vary, depending on conditions. Thanks for all you do, and be well- from the Left Edge. I just love the use of ‘ those $10’ words! My dad used to remind me, sometimes you’ve got to use bigger words! I thank you for that. I will tell you it has been fun to see Machado with the Dodgers, cause I heard about him from you! I am hopeful the off season brings needed and motivated staff/players to the Os. We’re a mere 14 games out. Marginally competitive. My heart hurts for you, but I kind of like the suggestion that you pick one of the other teams to follow for the coming weeks — perhaps not instead of but in addition to your O’s. Maybe one not even in the same league. The beauty of the game is not something to be overshadowed by the pain of this dreadful season at Camden Yards. I feel your pain. As someone who’s lived through some epic collapses here are a few tried and true Cub fan coping mechanisms. 2. Get a local folk singer to write songs about the team filled with irony and pathos. I can’t say I feel your pain, Jackie because as a Yankees fan, we do t go through this too often, inspite of many of us being spoiled and waiting for Jeter, Petite , Posada, Williams and Mariano to walk back to the Bronx. I feel so sorry for Adam Jones and especially Buck, they don’t deserve what’s happening with the team and neither do the Orioles fans. You know that Camden Yards is one of my favorite ball parks , even more than Yankee Stadium and I’m looking forward to making my annual trip in May to see the Yankees and Orioles play. I hope the team gets better and Baltimore gets back to competing for a playoff spot against the Yankees and Red Sox , just like old times.